When you need an expert in window repair and windscreen replacement in Brisbane South, you need the team at National Windscreens. Providing assistance to locals in Brisbane South and surrounding areas, we can attend to all windscreen matters in a prompt manner, from minor windscreen chips through to total windscreen replacement. We also offer the option of our convenient mobile service, meaning we can provide assistance when and where you need it. 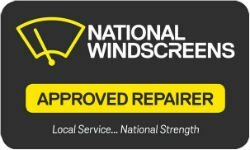 To learn more about our services, including window repair and windscreen replacement in Brisbane South, call National Windscreens today on 1300 363 632.